The farther you get from the equator, generating power throughout the year. And not just the shorter sunshine combination in the winter months of trouble; even a light snow dust can result in solar panels that are ineffective. As a result of global warming, the winter will have only a lot more, but there is at least one silver lining while researchers from UCLA have one way to use electricity from all those snow. 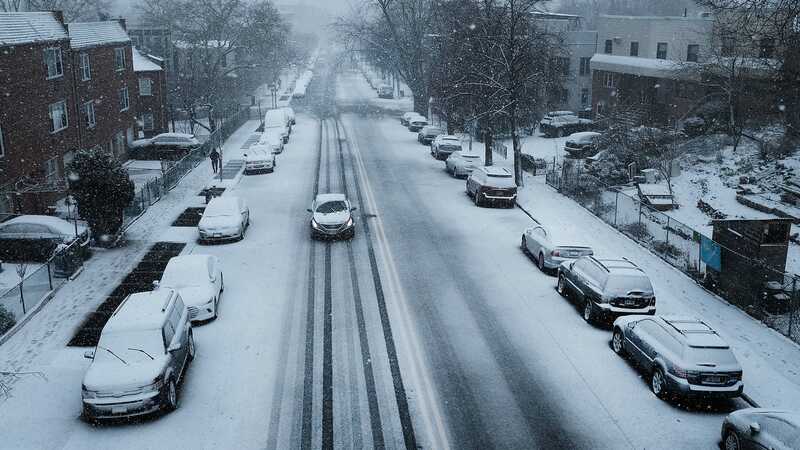 The technology they developed is called a snow-based triboelectric nanogenerator (or TENG snow, for short) that generates energy from the exchange of electrons. If you've got a frightening shock when touching the metal knob, you've got a working science here. Like falling to the ground, snowflakes are positively charged and ready to provide electrons. In a way, it's almost free energy ready for extraction, so after testing countless materials with a constant charge, UCLA researchers (working with assistants from the University of Toronto, McMaster University, and University of Connecticut) found that the negative charge of silicone made it most effective for the harvest of electrons when it comes to contact with snowflakes. Details about the device they created were distributed in a paper published in the Nano Energy journal, but it can be 3D-printed at cheap provided how the accessible silicone is for five bucks you can buy of a spray it can to hardware store as a lubricant. In addition to silicone, a non-metallic electrode is used, resulting in a flexible, flexible, and very strong triboelectric generator. Its creators believe that it can be included in solar panel arrays so that when it comes to snow in winter months, they can continue to generate power. But the triboelectric generator also has other potential uses. Because it does not require batteries or charges, it can be used to create cheap, self-contained weather stations that can report snow conditions and how much they accumulate. It may also improve trackers of activity used by athletes competing in winter sports, allowing the movement of individual skis to be tracked and recorded that will provide valuable insights for athletes while they are trained to avail their form.